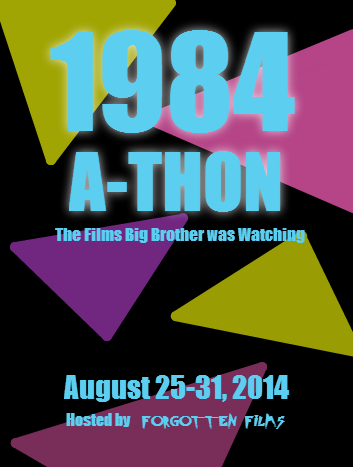 This month, Todd of Forgotten Films is hosting a 1984-a-thon, looking at as many films released in 1984 as possible. As part of this, I am taking a look at that years big adaptation of a Stephen King book with Firestarter. The plot concerns Charlie McGee, the daughter of Andy McGee and Vicky Tomlinson, who were two test subjects at a top secret military base years earlier and developed psychic powers as a result. This has led to Andy being able to telepathically control people whenever he chooses and Charlie being able to create fires at will. After being on the run for years, they are eventually recaptured by the military organisation, known as The Shop, with the aim being to use Charlie's ability to set fires as a weapon. Something that struck me as problematic in the film was how stupid the main characters seemed to be. There's one moment where they try and send information about the experiments to the press, but instead of doing it in the middle of a crowded city, which would limit the ability for them to be seen, they go to a small town, which The Shop knows they could go to, to post it instead, or they could have gone in person since the paper's offices are in cities which would limit the chance for them to be seen. This, along with the fact that there are times when Charlie can't control the fires, makes me wonder how they were able to stay ahead of The Shop for so long. There is also a problem I have with the pacing of the film, as most of the film has this quite slow pace which lets us understand the characters more, but at the end the pace is so fast that it feels like they had a limit for how long the film could be so crammed as much stuff into the ending as possible. There is also a problem that, whilst Andy and Charlie do get fleshed out, a lot of the supporting characters are just boring and given no personality in the script aside from their stock personas. That said, when the film focuses on Charlie and Andy, it works really well and the whole backstory for The Shop is interesting and I feel could have been fleshed out more. I also really like that there is this great sense of power inside Charlie that could explode at any time, which does help build up tension throughout the film, especially when we see just how powerful she can become, mainly when she kills dozens of people with very little effort and sets a brick wall and water on fire. The performances meanwhile are hit and miss. Drew Barrymore as Charlie gets a few really good moments showing the fear she has over her powers and whether or not she'll hurt someone but most of the time she's really annoying and doesn't give much personality to the character. David Keith as Andy also suffers from being really bland in his part, but something that does work is that Barrymore and Keith do have really good chemistry together, making me believe them as father and daughter. The highlight of the cast for me is Martin Sheen as Hollister, the head of The Shop. There's this great sense of charm he brings to the character which shows how he could become the head of something like The Shop but he also has this great sense of glee and enthusiasm over seeing what Charlie can do, which makes him a really likable character, despite him being one of the villains. There's also a really intimidating performance by George C Scott as John Rainbird, the main villain of the film and an agent of The Shop. You always believe that he is a threat throughout the film but this creates a problem with the film as he so obviously looks like a villain, especially when he has the eyepatch and his actions when he tries to gain Charlie's trust are really transparent that it baffles me why Charlie chose to trust him over the infinitely friendlier Martin Sheen. Another problem in the cast comes through Art Carney being completely wasted and being virtually pointless, only serving as foreshadowing for the end of the film and has no character development. Overall, Firestarter is a pretty bad film. Whilst there are a few good plot elements and performances (in particular Martin Sheen and George C Scott), along with really good effects and a great soundtrack by Tangerine Dream, the overall structure of the film is a mess, the main characters make stupid decisions all the way through and the overall effect ends up being quite boring, which is something I didn't expect when I started watching the film.